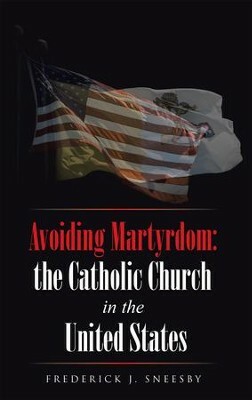 The United States Catholic Church has swung from being distinct and easily identifiable to a church that has blended quite well with the prevailing American culture. The forces of assimilation and the choices of Catholics have produced a mainstream church. 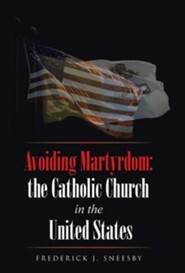 But is the American Catholic Church accomplishing its mission? Is the church that was once peculiar more effective as the church that accommodates? The disordered condition in which the United States finds itself with materialism that dominates our culture, a landscape of relational life that has become a wasteland, destructive violence, crippling skepticism, blindness to the value of human life, and a scandalous gulf between rich and poor cannot be healed and redeemed unless there is a community of believers willing to invest the goodness and virtue that is needed to bring about what God intends. The country needs a vibrant Catholic Church. How can the United States Catholic Church be that church? Avoiding Martyrdom examines the state of the American Catholic Church and the disquiet felt by many Catholics, while looking toward how Catholics might fulfill the church’s mission in the years ahead. I'm the author/artist and I want to review Avoiding Martyrdom: the Catholic Church in the United States - eBook.